888 Casino is by most measures one of the largest online casinos in the world. It is owned by Cassava Enterprises (Gibraltar) Ltd, wholly subsidiary of London Stock Exchange listed 888 Holdings Plc. 888 Holdings employs over 800 full time staff and offers 24/7 support capabilities in almost 20 languages to a claimed 25 million players who have to date played at its online casino properties. 888 Live Casino operates under a Gibraltar Regulatory Authority license and started taking accepting bets 1997. They hold a UK Gambling Commission license for customers in the UK. In March 2019 they also secured a license from the Malta Gaming Authority to mitigate Brexit related risks. They also hold a number of EU regional market licenses (Sweden, Spain and Italy for example). 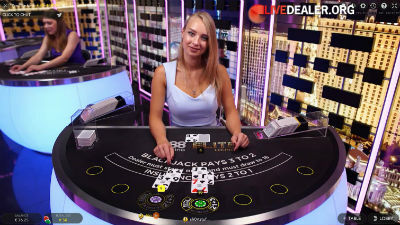 Their principal live casino is powered by Evolution Gaming including multiple private rooms withing Evolution’s premises in Latvia. 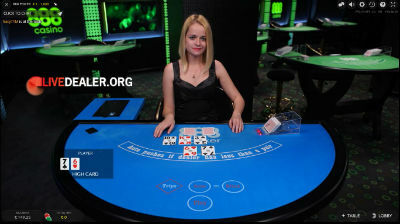 They recently (June 2017) also added a selection of tables from NetEntertainment. 888 are one a handful of Evolution Gaming licensees that have private, branded areas within Evolution’s premises. Tables here are accessible by 888 customers only. They have 888 branded tables, 777 branded tables, and the recently opened Elite Lounge VIP area. 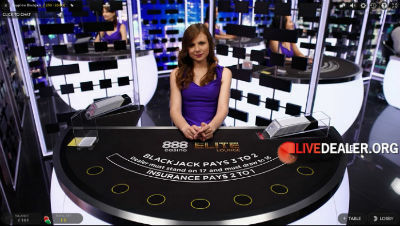 Regular (Evolution Gaming) floor tables are also available to players logged into 888 live casino. The also offer ‘Punto Banco’ tables with Italian speaking dealers. For all , bet Banker (0.95:1), Player (1:1), Tie (8:1) and/or take the optional pairs side bets. For slightly different payouts, there is also a No Commission Baccarat table (pictured). You are playing against the house (or dealer) and not other players. An Ante bet gets you in the game, your pocket cards and a look at the flop. A Call bet (2x Ante) lets you see the Turn, River and the dealer’s cards. Beat the dealer’s 3 card poker hand. 5. Texas Hold’em Bonus Poker, with multiple check/raise opportunities, and a jackpot side bet. Bet Dragon, Tiger or Tie. One card to Dragon, one card to Tiger. Highest wins (Ace os low). Win pays even money, Tie pays 11:1. That’s pretty much it! Read more about Evolution Gaming Dragon Tiger. 888 Casino Clash is essentially Dragon Tiger in a different skin. The one key difference: Ace is high. 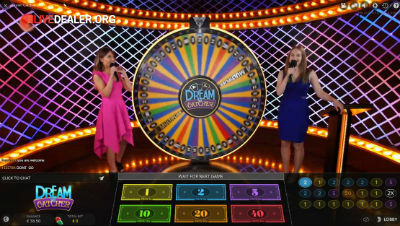 Evolution’s launched their ‘Big Money Wheel’ game, Dreamcatcher during 2017. 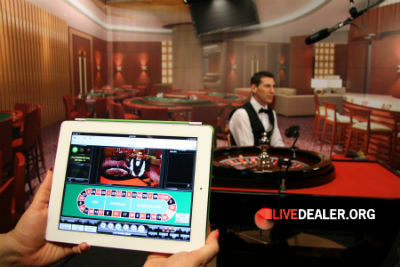 You can play 888’s live games via iPhone, iPad, Android phone or Android tablet. ‘For mobile’ games may be accessed via 888’s mobile website or the 888 casino App in the Apple App Store or Google Play. 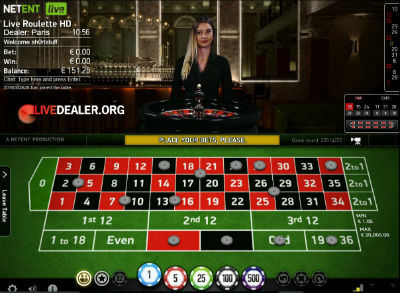 European (pictured) or French live roulette.